Exile, SLink, Pink Fuel sneak peak!! SLink has just released the Jolie Pied Barefoot in 3 versions – Low, Medium, and High. They're SO gorgeous and these photographs have not been edited in Photoshop. 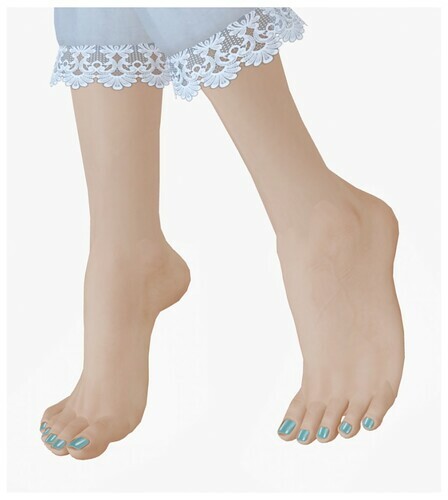 If you're a prim-feet lover, you know how hard it is to hide seams at the ankle. These are so well done that if you look closely you will notice but from afar it's really seamless. You need to visit Oyakin, their new releases are inexpensive and so lovely! Pink Fuel – Skye (Honey) * This skin is debuting at skin/shape expo next week (Sept 26th), I'm so excited!!! !